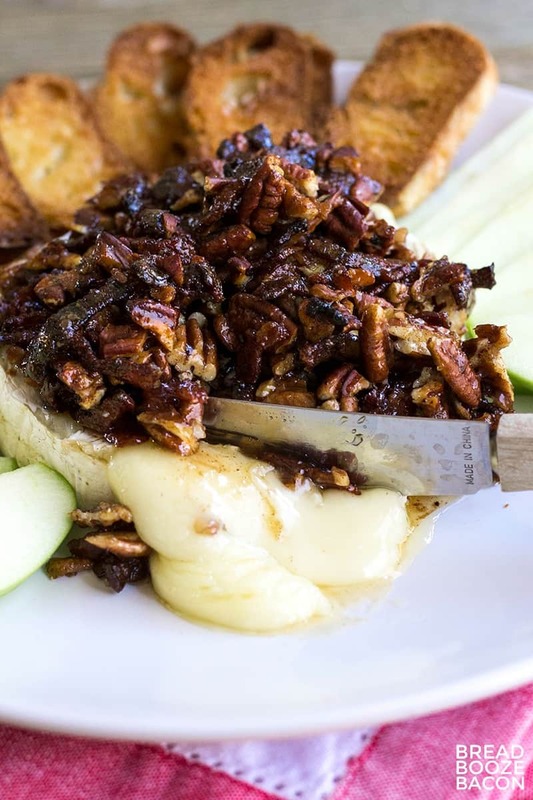 Ooey, gooey Baked Brie with Pecans and Bacon is the best bite for any occasion! 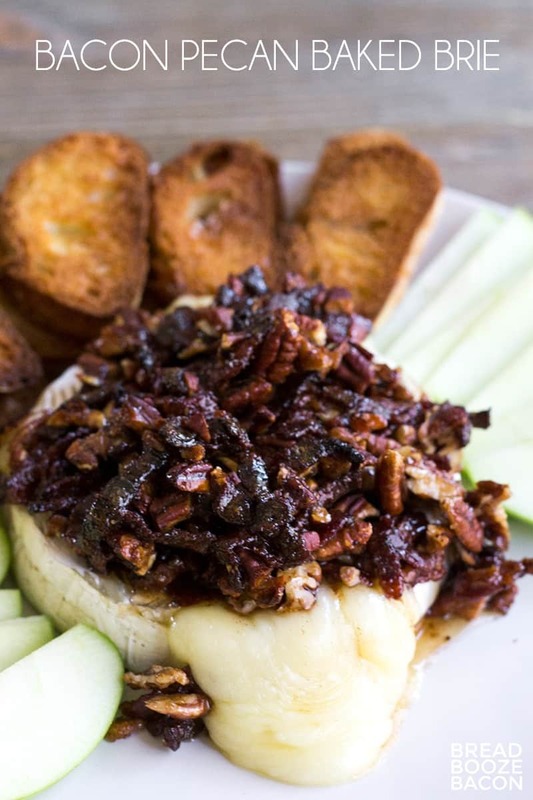 Baking spices, salty bacon, nuts, and tangy brie are a match made in flavor heaven! Stop whatever it is you’re doing right now. Seriously. This recipe needs your full attention. I don’t know what it is about brie, but whenever it’s around I can’t help myself. I love it sliced and topped with strawberries and honey as bruschetta, on a killer flatbread, or baked to gooey, gooey perfection. 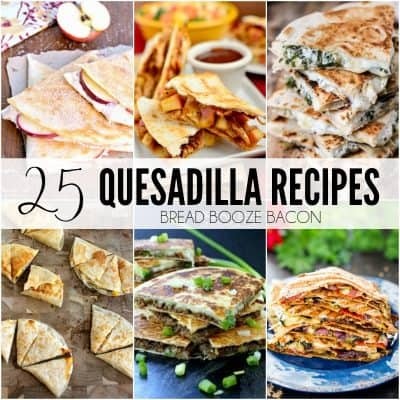 It makes the best appetizers. Brie has a little piece of my heart. 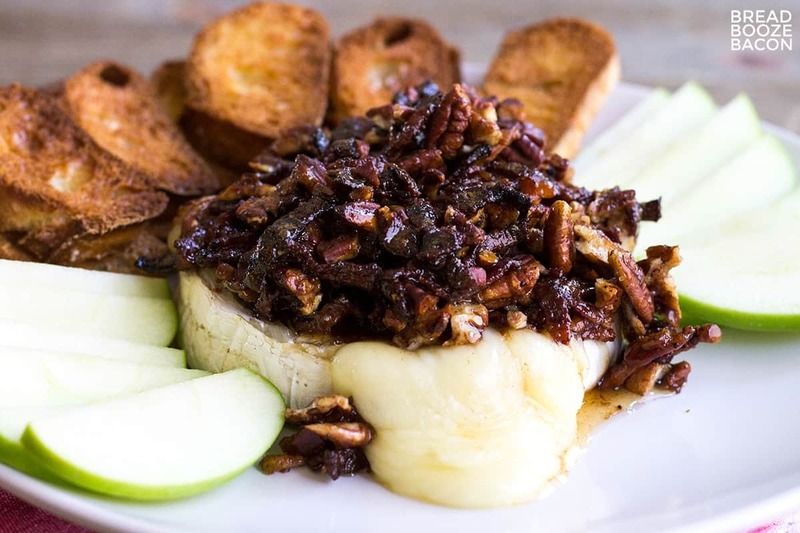 And this baked brie will win anyone over. The marriage of salty bacon, earthy pecans, sweet brown sugar & honey, and baking spices may just be one of the best things you’ll ever eat. I’m not joking. I ate the whole damn brie wheel over the course of the day because I couldn’t stop going back to it. Well, I did share with the husband for a minute, but only so I could get a second opinion. 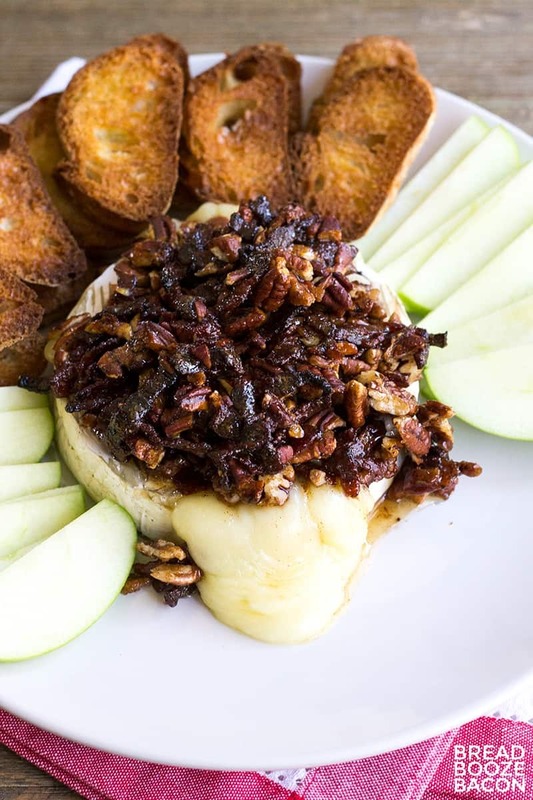 I love serving baked brie with crostini and green apples. The tart apples are amazing with brie (baked or not) and if you haven’t tried it, do yourself a favor and do so ASAP! This recipe comes together in about 25 minutes and is great for serving during the holidays as an easy appetizer. If you’re not into the whole cinnamon & nutmeg flavor profile, you can switch them out for black pepper and cayenne for a sweet, nutty, spicy variation that’s delicious any time of year! Unwrap brie, cut off top, and place on baking sheet. Bake until gooey. Remove from oven. Serve with fruits and crackers. I’m sad to say it, but today is the last day of bacon month for 2017. Next week I’ll be sharing a crazy good bacon-loaded deviled egg recipe, but the group is done today. I hope you’re all enjoyed this year’s event as much as I have!! 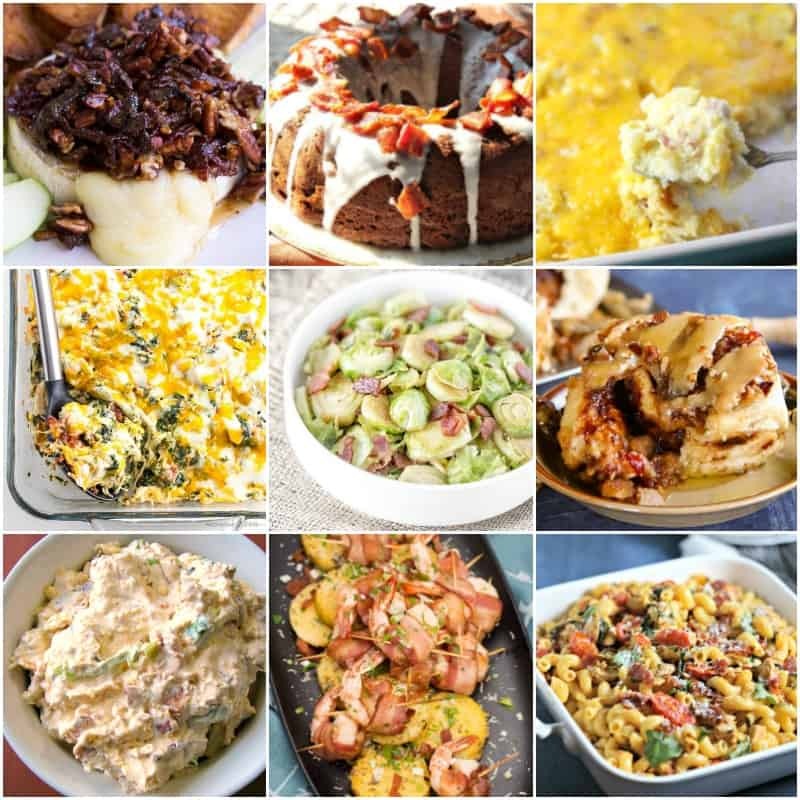 This week’s recipes are below, and you can see last week’s recipes or all the past Bacon Month recipes by clicking these links as well. Just try not to drool all over your keyboard! Preheat your oven to 350 degrees F. Line a baking sheet with aluminum foil; set aside. To the bacon in the skillet, add the brown sugar, cinnamon, nutmeg, and 1 tablespoon of honey. Mix to combine. Add the pecans and mix to combine. The topping will become thick and clump together a bit. Unwrap the brie. Use a sharp knife to remove the white rind from the top of the cheese. Place the cheese on the prepared baking sheet. Pour the bacon topping over the cut side of the cheese. Pour the remaining tablespoons of honey over the bacon mixture. Bake for 15 minutes, until the brie is gooey. Carefully transfer the brie to a serving plate, being careful not to puncture the rind. Serve immediately with crostini and/or sliced green apples. The brie can be baked and served in a small, oven-safe dish with raised sides, as opposed to the baking sheet. If you don't care for baking spices, you can substitute the cinnamon & nutmeg for 1/4 teaspoon black pepper and 1/8 teaspoon cayenne pepper for a sweet and spicy variation.